This is a ProTek R/C "TruTorque" 1.5mm Power Tool Tip. No one wants to spend money on low quality tools. Tools are an investment that should not be taken lightly and are one of the few items that should outlast the life of the model you are working on...and remain with you for years after. With so many choices available, the decision can be overwhelming. So ProTek R/C has stepped up again, expanding its product line with a complete range of affordable, high quality tools that help to make the decision a little easier. Anyone who has used a cordless drill to wrench on their rig knows that when used properly, power tools can provide an incredible advantage. They not only allow you to replace damaged parts faster, but also help to prevent hand fatigue. 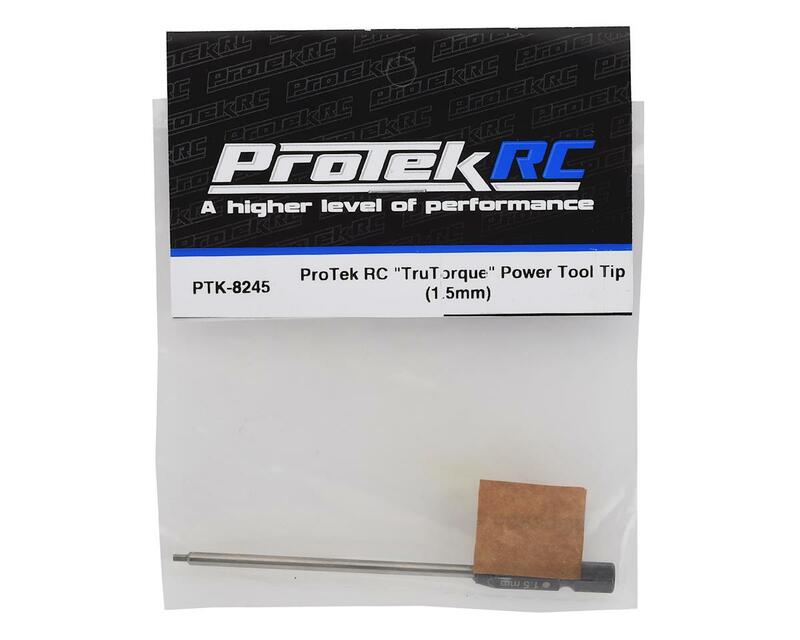 ProTek R/C "TruTorque" Power Tool Tips are machined from high quality tool steel for durability and long life. The precision cut tips provide an exceptional fit with the fastener, and feature a bronze colored finish that not only looks good, but also helps to protect the steel from corrosion. 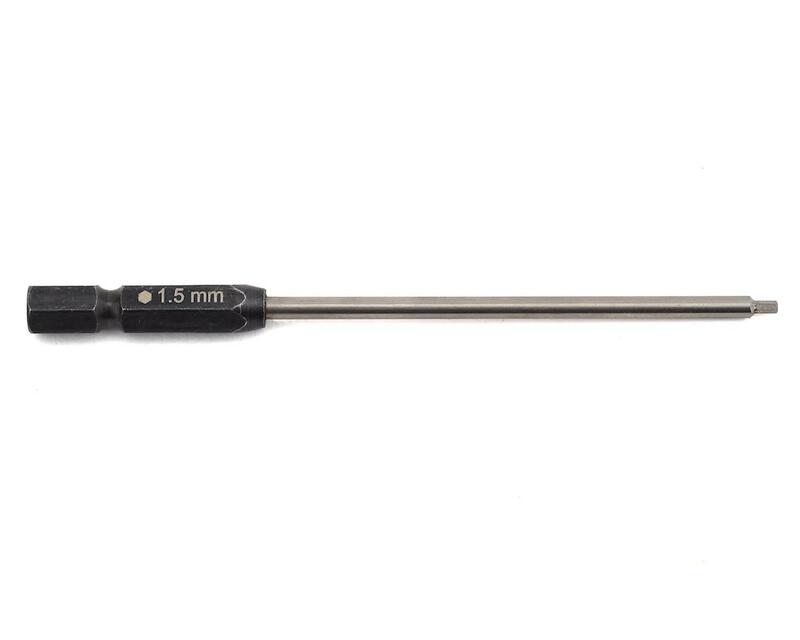 The 1/4" drive hex ends are designed to fit tools that accept a 1/4" drive hex socket.